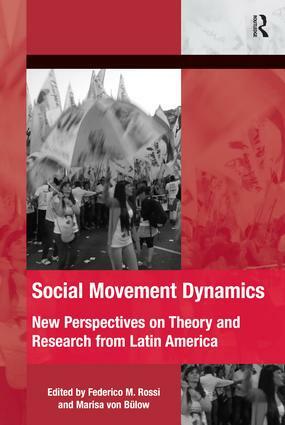 This book presents an overview of new approaches to the study of social movements emerging out of Latin America, based on original and innovative analyses of the recent changes in collective action across the region. Over the past decade, new repertoires of contention have emerged in parallel to changes in the configuration of actors, in previously established patterns of relationship between social movements and political institutions, and in the shapes of collaborative networks, both domestic and transnational. The authors analyze a broad set of countries and social movements, while focusing on three key theoretical debates: the interactions between routine and contentious politics, the relationship between protest and context, and the organizational configurations of social movements. The research agenda put forward by this book is neither defined nor restricted by geographical boundaries, even though the chapters are based on field research undertaken in Latin America. In doing so, this volume contributes to a still underdeveloped dialogue in theory-building in social movement studies, among scholars from the South and from the North, as well as among scholars specialized in different regions.